between two leaders: LOOK and SRM. SRM developed the first power sensor in 1986, then democratised this technology by equipping the greatest champions and cyclists in search of reliable and accurate products. LOOK invented the first automatic pedal in 1984, revolutionising the world of cycling. With the constant development in the past decades, Look pedals have become a symbol for innovation and performance. Imagine a totally integrated power sensor, extremely precise, reliable and ultra light! The EXAKT power sensor shakes the rules and redefines the limits to immerse you in a world of precision, control and constant progression. 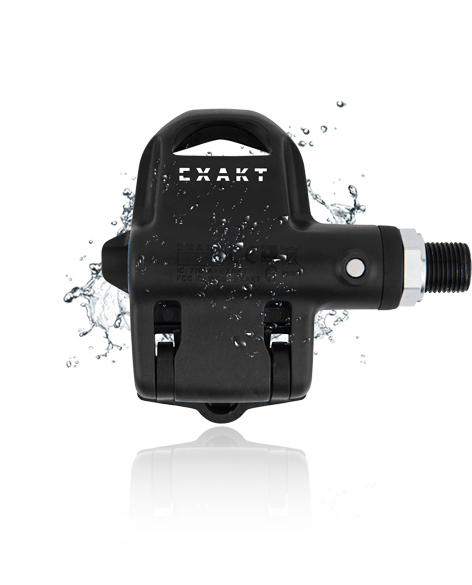 The new EXAKT power sensor uses the latest technical innovations that we’ve developed. A new generation of miniaturized electronic components is placed in a tiny space, in the heart of the pedal. The greatest victories are, most often, the fruit of the most modest details, of discrete but constant progress. 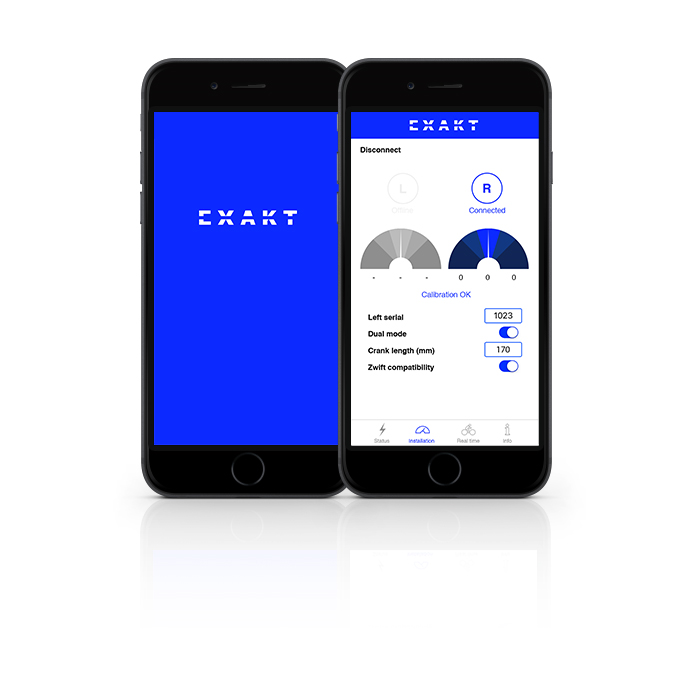 The EXAKT allows you to measure every detail of your performance, perfect your workout routines to help you discover your limits and improve yourself constantly. Independent of the environmental factors, power makes it possible to manage your training effectively, to define your work areas and to precisely track your performance changes. It corresponds to the number of pedal turns you make in one minute. In other words, your speed of execution. Combined with the force you apply on the pedals it calculates your instantaneous power. It makes it possible to analyse the torque effectiveness / TE, i.e. the amount of energy that effectively contributes to your progress, as well as your regularity of pedalling (pedal smoothness / PS) which corresponds to the uniformity of your push and pull phases. The balance function available on the DUAL version allows you to separate the power of your right leg from that developed by your left leg and thus analyse your performance more precisely. The sealing of the pedal has been the focus of attention thanks to the integration of new components – dual seal system inside and on the outer plug – which guarantee the tightness of the axle line and will allow you to face the worst weather conditions. The automatic compensation of the temperature – data stored in the pedal – ensures reliable and consistent measurements regardless of the fluctuations encountered. IPX6 Water jet blasting 100 litres per minute at a distance of 3m and a pressure of 100 kPa. IPX7 Immersion in a metre of water, for 30min. Every detail has been thought through and improved to ensure an even easier experience. Lithium ion batteries provide a 100h battery life. Charging your batteries has never been easier. There’s no need to disassemble your pedals, as a simple magnetic connector can recharge your two pedals simultaneously to ensure unlimited performance. Track your day-to-day activities, set your goals, and control the evolution of your performance from the measured data. 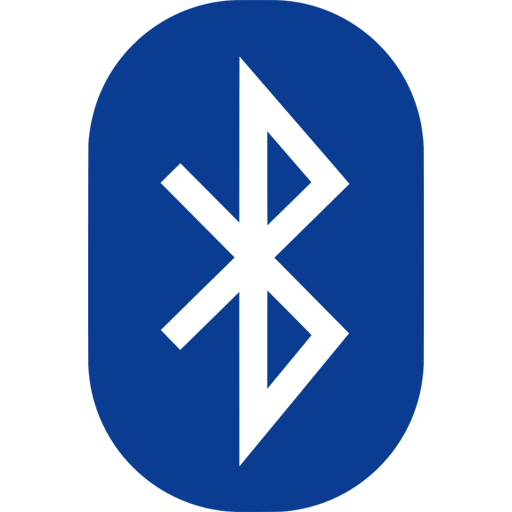 Dual Bluetooth Low Energy and ANT + compatibility allows you to record, analyse and share your data with all meters and smartphones using these protocols. 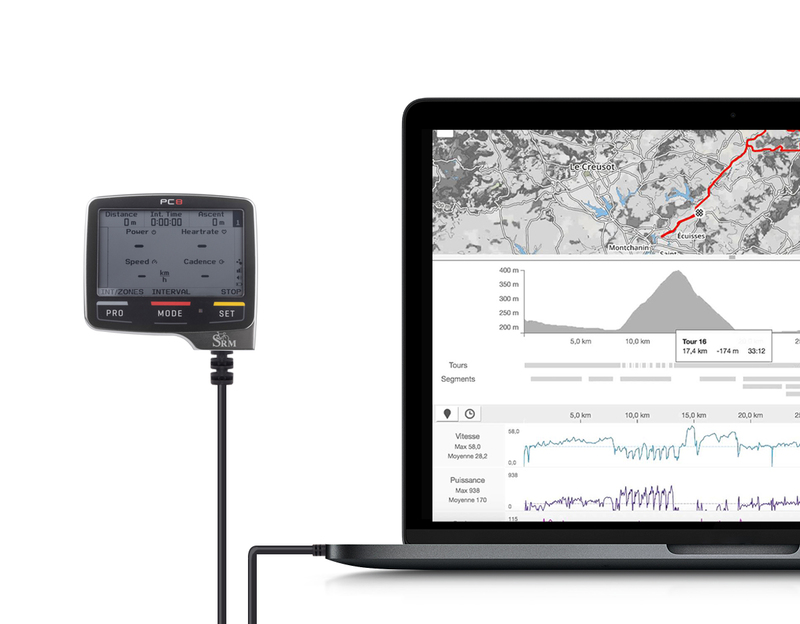 When climatic conditions don’t allow you to ride outdoors and you decide to tweak your fitness through virtual training platforms – such as zwift – you can keep all your power data thanks to the function available on the application. 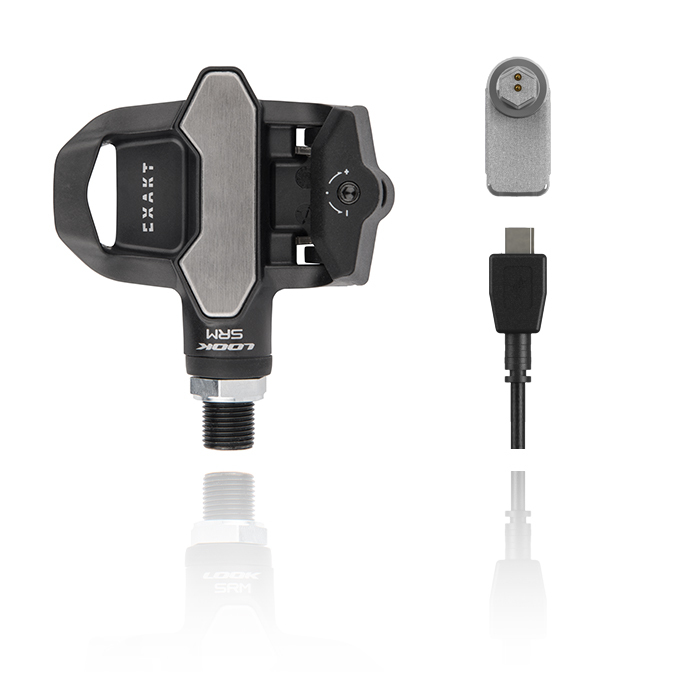 The EXAKT app also allows you to control the mounting of your pedals, benefit from the continuous improvements made on the firmware, control the level of your batteries and adjust the length of your cranks.